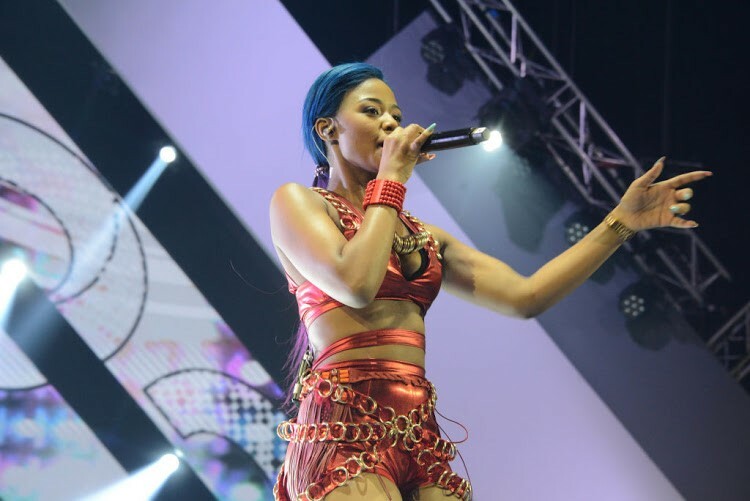 Metro FM DJ‚ Masechaba Ndlovu‚ on Friday afternoon confronted Babes Wodumo on allegations of abuse that the musician had allegedly endured at the hands of her longtime partner and record boss‚ Mampintsha. In the interview‚ which was broadcast live on Metro‚ Mzansi’s ‘national treasure’ wept and nodded her head as Ndlovu claimed Mampintsha had allegedly punched the Wololo hitmaker in the face and broken her leg. Ndlovu confronted Babes‚ who was in studio to promote her new song‚ Ka Dazz‚ about the alleged abuse. Ndlovu claimed that she had a friend who had taken Babes in when Mampintsha allegedly punched her in the face and broke her leg. The interview was broadcast live and was also streamed live on Babes’s Instagram Stories. In the video‚ Babes is shaking and starts crying when Ndlovu confronted her about the claims. Shortly after radio broadcast ended‚ family members and friends who were in studio with Babes are seen going to console her. TshisaLIVE has made several attempts to get comment from Mampintsha on the allegations. The calls have been declined and messages read‚ but unanswered. Babes’s new manager Keke Mokoena told TshisaLIVE shortly after the interview was aired that she was proud of Babes for speaking out. At the start of the interview‚ hosts MoFlava and Masechaba asked her about the rumours that she was pregnant. Babes said she was “free” and denied the speculation that she was still engaged to Mampintsha and pregnant with his child. She later admitted that Mampintsha had access to her social media account and claimed that he posted a picture from March of the pair together‚ even though they had split and she is in a relationship with somebody else. During an ad break on the radio interview‚ video footage on Babes’s Instagram account shows Masechaba and MoFlava coaxing Babes to tell the truth. “The truth is the key. You’ve done nothing wrong. My blood is boiling. I hate to see a young woman as terrified as you‚” Masechaba told the musician. When the show started again‚ Masechaba told Babes that she knew she had been allegedly abused. “I said I wasn’t going to do this‚ but Babes‚ you know‚ I think it needs to be said because I hate to see a young woman as talented‚ as smart as you‚ living in so much fear. Babes Wodumo. Right. You don’t have to answer this question‚ but we all know‚ we’ve heard from multiple sources‚ we’ve witnessed the fact that you have been physically abused by Mampintsha. That he has beaten you in your relationship‚” said Masechaba. It is at this point that Babes looks down and starts weeping. “I have a very close friend of mine who took you in the day Mampintsha punched you in the face. And you were bleeding from your nose. You don’t even know that I know that story. You don’t even know that I know from someone else that he broke your leg. Babes‚ we live in a country where women are getting killed left‚ right and centre. And quite frankly I’m prepared to deal with the BCCSA. Mampintsha‚ bring it on‚” added Masechaba. TshisaLIVE understand that Babes has not laid any charges against Mampintsha as yet‚ but is considering her options. “That is someone for her and her family to discuss. She’s sleeping right now. We don’t talk to Mampintsha so I don’t know what his reaction to this is‚” said her manager. Although the pair has often made headlines for being part of publicity stunts‚ the allegations have rocked Mzansi as the couple is considered a powerhouse in the entertainment industry. Babes has trended as the number one topic on social media‚ with over 80‚000 comments on Twitter at the time of publishing this article.